We promote and ensure your health and vitality by offering integrative diagnostics, services and products. The WHO (World Health Organization) defines health as a state of complete physical, mental, and social well-being (or wellness) and not merely the absence of disease or infirmity. The philosophy of EcoWellness is based on this understanding of health and on a commitment to encourage, through market opportunities, the production and consumption of food that contribute to enhancing the health of society as a whole. For EcoWellness, organic agriculture and organic methods of processing present clear advantages in terms of health for the consumer. However, EcoWellness believes that organic certification alone is not enough to guarantee that a product is always healthy or significantly healthier than its non-organic counterparts. Health has become a common argument in food marketing, but health claims are often not supported by scientific evidence or are even somewhat misleading the consumer with regards to the overall health attribute of a product. This can happen also to some extent with health claims on organic products. The aim of EcoWellness is to position itself as a food label that can be trusted as a mark of real and scientifically demonstrated added value in terms of health for the consumer. This added value justifies a price premium as compared to comparable non-EcoWellness labeled products. Hence EcoWellness is a label that acts as a market driven incentive for food producers to preserve and enhance the health attributes of their products, through careful selection of ingredients, careful processing, optimal conditions of transport and packaging, etc. EcoWellness is not a label competing with organic labels. Instead, the EcoWellness label can be used as a complementary label to add even more value to organic products, through the marketing of health attributes. 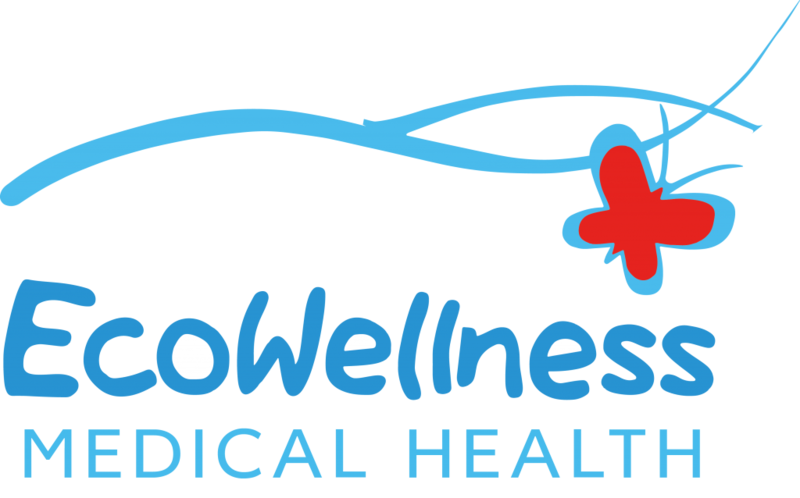 EcoWellness marketing strategy primarily targets the health and wellness sectors (clinics, doctors, health and wellness centers, but also high range restaurants and hotels). Hence EcoWellness works to increase the demand for organic products in those sectors, which are not necessarily traditional buyers of organic products. The environmental performance of EcoWellness products is guaranteed by the fact that products have to be organically certified. Organic certification is a pre-requisite for obtaining the EcoWellness label for all products. The health performance of EcoWellness products lies with an adherence of the producing company to the philosophy of EcoWellness and to the compliance with additional requirements as laid down in this standard. The social and ethical performance of EcoWellness products is guaranteed through another pre-requisite: companies producing EcoWellness products must be audited in the framework of the Business Social Compliance Initiative, or be certified against the standard SA8000.